I've seen that picture before... The tape was a rubber coating on a canvas backing, kind of like an "old" air mattress before they were made of plastic. It was Black in color. I never found a good replacement. 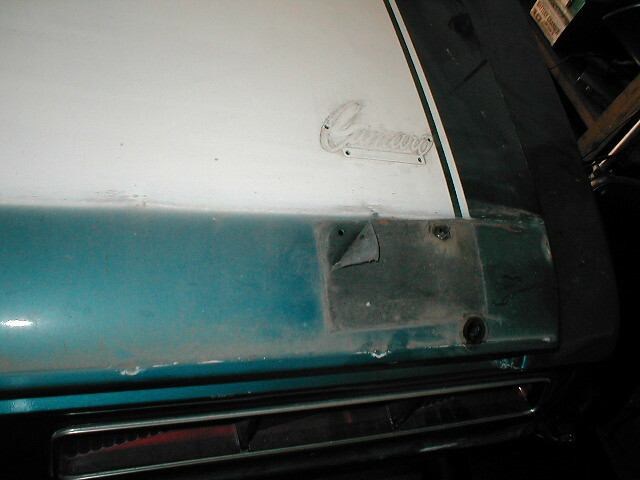 Good insight Mike, it narrows the type of material used to seal the trunk lid and a canvas style material would also perform better than a sealing tape. 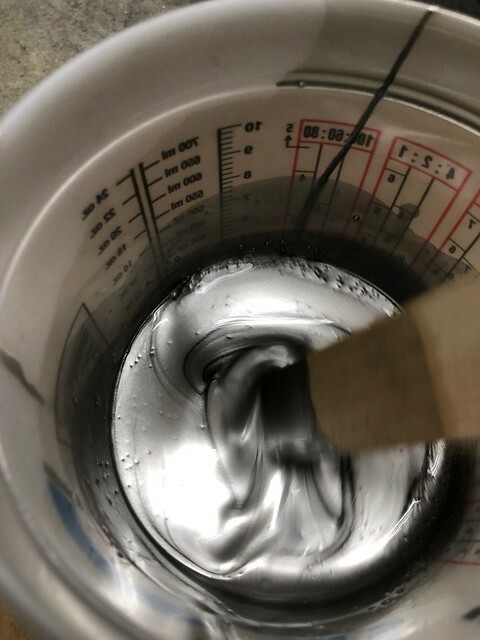 I was mixing topics. Not a good idea. I went back and fixed what I said. You are correct on the bolts. It seems that 67 and 68 yokes for both the 10 bolt and 12 bolt - and the 69 10 bolt yokes - used u bolts. 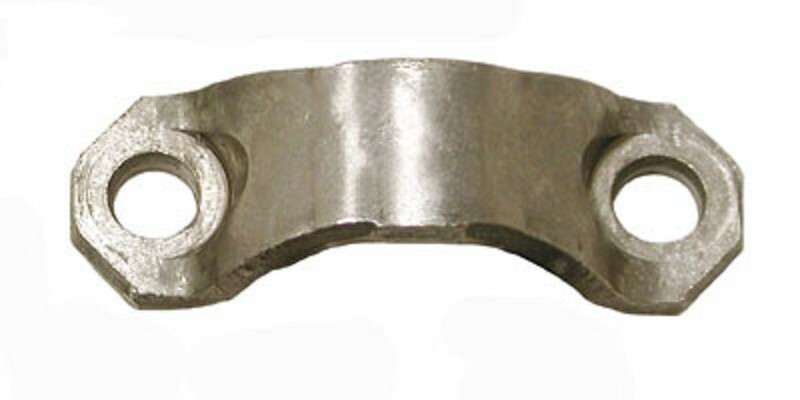 The 69 12 bolt yokes had threaded holes. They used manganese phosphated bolts and bare steel straps. I have been looking at this topic for a while. Straps and bolts were probably natural steel. Yoke is a different story. I am not finished researching. 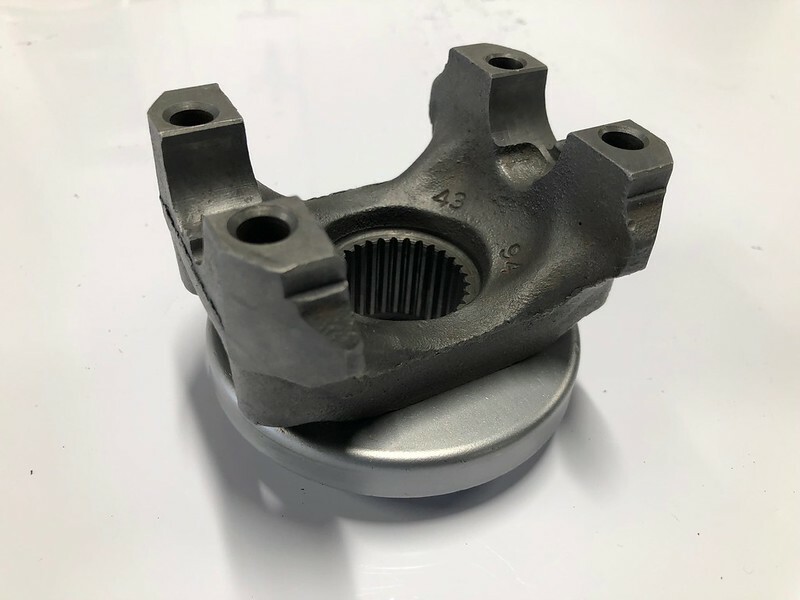 67 and 68 finish on the yoke and deflector ring may not be the same as 12 bolt yoke for 69. I assume you’re referring to your 67/68 model research when you state the strap bolts are natural. For 69 I’ve only ever seen the bolts manganese phosphated? The tape was missing on mine when I removed the spoiler, but I thought a bitumen-coated woven fabric self-adhesive tape from the hardware store would be functionally suitable, such as roofers use for flashing and sealing. As a tiny area stays visible as in John's picture, I guess the colour and texture would be important for you though. Tim thanks for the insight, if I can't source a similar material I may try to make it. Interesting question. The tape used for the under-body spray test was a paper-based crepe that was intended to seal (and survive) a couple of minutes whereas the tape used on the trunk lid was intended to prevent water leakage into the trunk for the service life of the vehicle. Could they be the same? 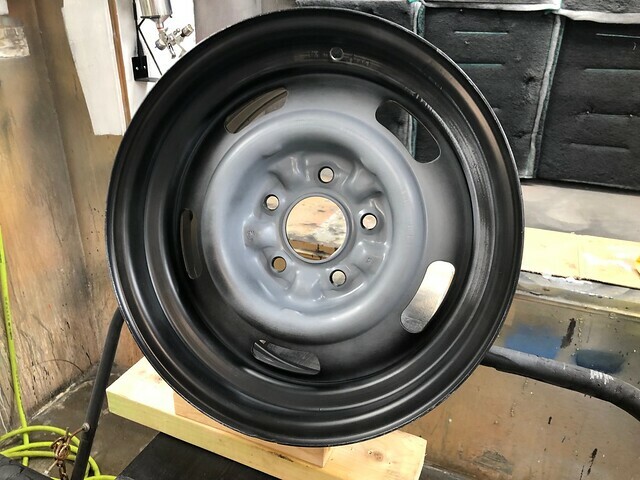 I haven't received much input on the question about the correct valve stem length for a 1969 Rally Wheel so during my research I came across an installment from Chick's (68camaroz28) build thread on TC where he states: "I have three rally wheels dated late 67 and 68 (two DF wheels & one 15X7 vette) have what seems to be the original valve stems. All are the same size and have 'TR-413' valve stems made by Dill." Thanks for all the input. I did receive one answer by email from a well known expert who stated the straps should be "natural steel". I have often seen them restored using manganese phosphate and as the steel tends to darken over time its not obvious to me how they were finished originally. NOS examples are often a good proxy for the original however not always reliable. I also like the "acid test" - will have to try that. 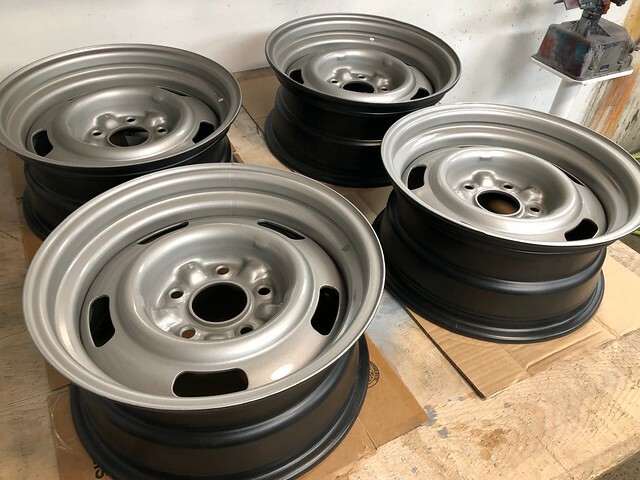 I just finished painting my rally wheels today and am looking forward to mounting the tires in a about a week once the paint has had some time to cure. Can anyone confirm the correct, original valve stem length used in 1969? Let me know. I'll be going to LIC soon to get some items and I can pick them up so you don't have to by a minimum. Thanks Mike, very considerate. I am looking forward to confirmation of the valve stem length. Thanks Mike, LI Corvette seems to be a good source if it turns out the TR418s are the ones to buy. 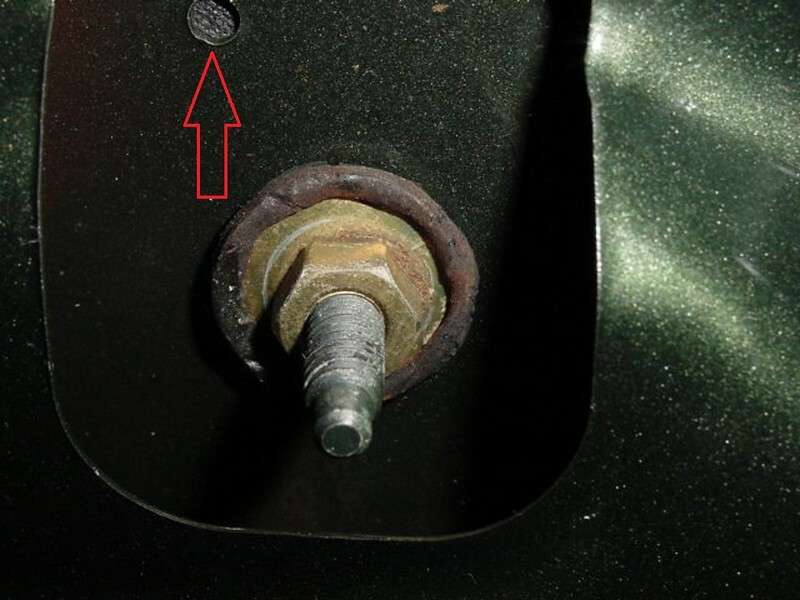 Bolts attaching the top cover were manganese (dark) phosphated for both power and manual boxes. 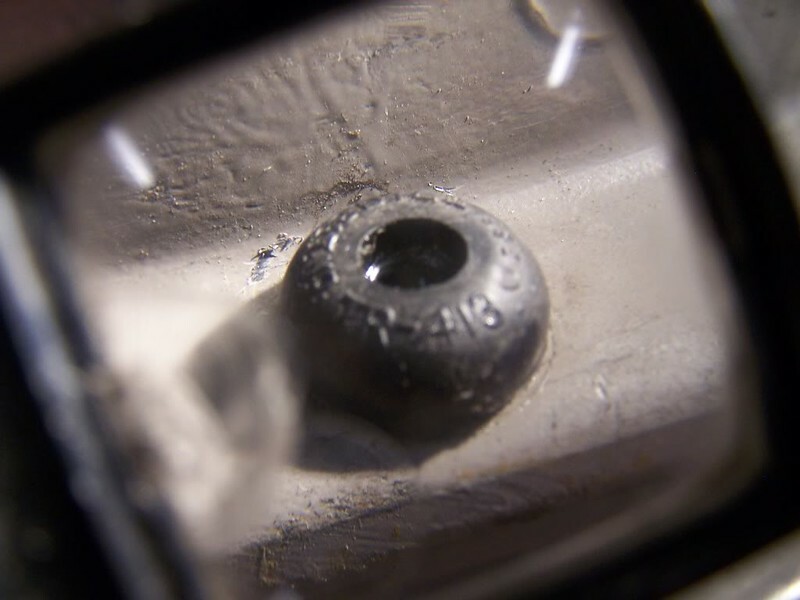 The initial question posted on this thread was about the correct length of the valve stem for the 1969 Rally wheel which was never actually answered. 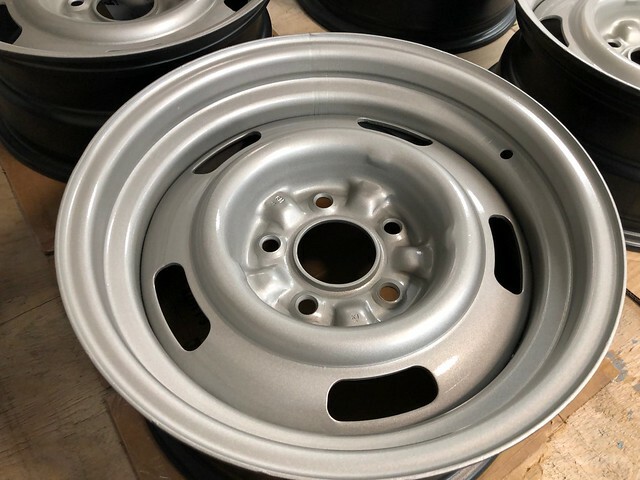 I'm finishing up the restoration of a set of YH rally wheels for my 1969 RS/Z project and am looking for the same valve stem length information. I've seen references to the Dill 418 stems (2") however would like to know what is the correct stem length and if possible a source for them?